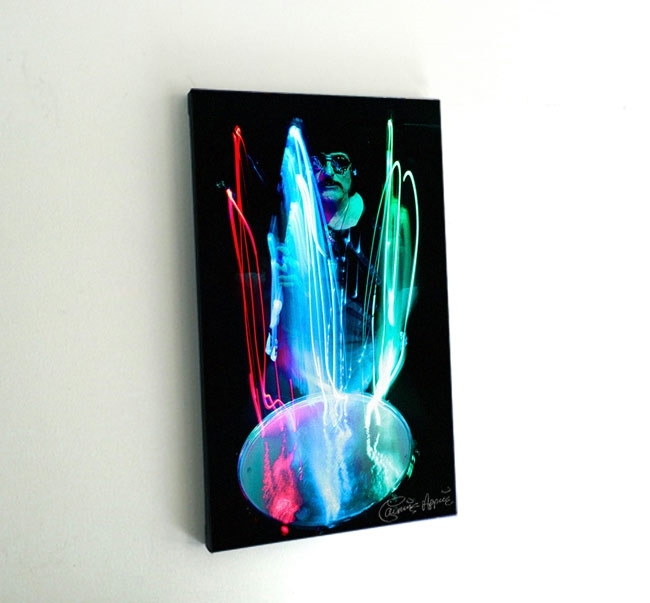 Own "In Space" by Carmine Appice. Much like a self-portrait, In Space focuses on the artist at-work during the creation of rhythm for canvas. In Space showcases the floor tom and the movements of the drummer crafting rhythm uzing 3 colors. Powerful with or without Chromadepth, each In Space canvas ships with Chromadepth glasses for another visual experience. Measuring 18"x 30" on canvas, there are a total of 60 in the edition. All are numbered and individually signed by Carmine Appice.